LOCO and MAMAMOO's Hwa Sa scored a perfect all-kill! Through KBS' 'Hyena on the Keyboard', LOCO snagged an opportunity to work with his ideal type Hwa Sa. The two artists had great chemistry in and out of the studio and their lovely collaboration has resulted in a perfect all-kill. 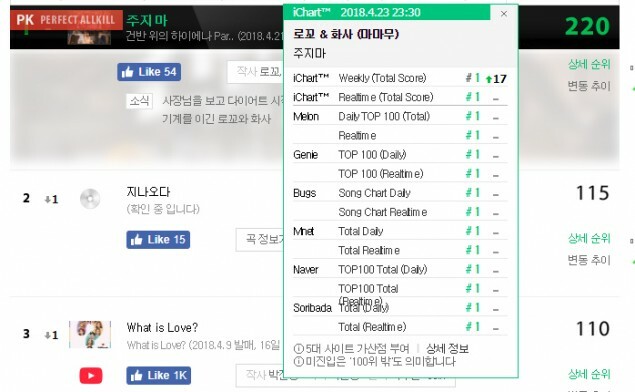 LOCO and Hwa Sa's "Don't Give It to Me" topped domestic music charts including Melon, Genie, Bugs, Mnet, Naver, Soribada, and iChart.